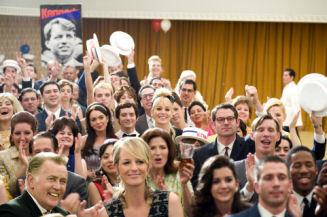 This film is a re-telling of one of the major events during the turbulent ‘60s in America, the assassination of Senator Robert F. Kennedy in 1968. Senator Kennedy was about to be nominated as his party’s choice for President of the United States, but his life was cut short by an assassin’s bullet. But instead of taking a look at how this tragedy affected his family, this movie looks at how the lives of the guests and workers at the Ambassador Hotel were changed forever. Who knows how history would have been changed if the Senator had lived? See the latest developments for this project on the Bobby Movie News page.